Surprise inspections at four Massachusetts psychiatric hospitals found such prevalent patient care problems that state officials have taken the unusual step of sending in an onsite monitor to oversee improvements. The deficiencies at the four hospitals, owned by Arbour Health System, included insufficient staff, failure to check on patients every 15 minutes as required, incomplete treatment plans, dirty bedrooms, and vacancies in key leadership positions. Three of the four hospitals lack a chief executive. Patients also complained to investigators that they had been treated disrespectfully. The inspections, which took place in March and April between 5 a.m. and midnight, prompted the Department of Mental Health to warn Arbour in early April that the four hospitals would no longer be able to admit patients if violations weren’t corrected. The agency recently provided details about what the inspections uncovered in response to questions from the Globe. The hospitals — Arbour Hospital in Jamaica Plain, the Quincy Center, Pembroke Hospital, and Westwood Lodge — submitted correction plans to the department as regulations require. The three other hospitals owned by the company were not singled out. State officials said that there are “significant patient care and life safety violations” at the psychiatric centers. Mental Health commissioner Joan Mikula appointed the “clinical monitor’’ due to the number of facilities involved, a step the department has not undertaken before, her staff said. The monitor is a department employee who will be a consistent presence at the hospitals, according to the agency. “It is important that Arbour sustain progress over time,” said Michelle Hillman, a spokeswoman for Executive Office of Health and Human Services, in an e-mail. In a written statement, Arbour Spokeswoman Judy Merel said the company “will work collaboratively and cooperatively’’ with the monitor. She pointed out that in the past year, all Arbour facilities passed licensure renewal inspections conducted by the mental health department. And, she said, high patient satisfaction scores demonstrate the success of their treatment programs and the quality of the care. Arbour is the largest provider of psychiatric care in Massachusetts and is part of Universal Health Services, a huge for-profit company that owns behavioral health facilities across the country. Some of the company’s hospitals have a history of questionable care. After a young woman died in her bed at Pembroke Hospital last August, assistant commissioner Janet Ross cited the hospital for unsafe care. Among other findings, investigators found that the woman’s treatment plan was incomplete, and that it appeared staff did not consult a physician despite obvious signs of distress, including an abnormal pulse rate and observations from the patient’s mother that her daughter did not seem like herself. Ross said that not enough safety checks had been conducted, and that it appeared the check sheet had been filled out for the entire shift in advance, according to her November decision letter. Stacey Burns, the hospital’s director of risk management and quality improvement, responded in a January letter that the patient died of natural causes, and that the hospital disagreed with the agency’s findings. She said she was pleased the department removed its findings that safety check records were falsified and that the treatment plan was incomplete, but still provided a correction plan for a number of issues. Two months later, the mental health department began surprise inspections at all seven Arbour hospitals in Massachusetts, finding serious problems at the four. The agency said recently that it is satisfied with the company’s progress so far and has removed the threat of blocking admissions — at least for now. “This decision may be revisited at any time based on the results of ongoing monitoring of Arbour’s progress to satisfactorily address the issues that have been identified,’’ wrote Sharon Torgerson, a Health and Human Services spokeswoman, in an e-mail to the Globe. The inspections at the four hospitals found that therapy groups met the needs of only a small number of patients and were inadequate on weekends and at night. The agency said that some documents used by staff lacked important information about patients’ care plans, triggers for outbursts, warning signs, and strategies for intervening safely. Inspectors also reported that there was an odor or presence of bodily fluids on some units, and that some patient rooms were very cold. Staffing was so low, inspectors found, that supervisors were required to provide direct patient care, making them unavailable to respond to units or supervise employees. They also discovered inappropriate use of restraints, and some employees said there was not enough staff — or that the staff was too inexperienced — to manage restraint episodes safely. The agency said last week it will be closely monitoring hiring for key positions. 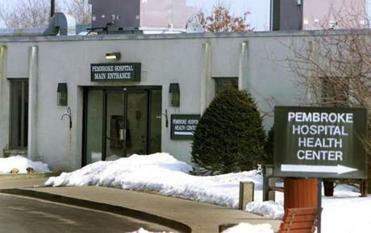 Westwood Lodge, Arbour Hospital, and the Quincy Center, which is a satellite of Arbour Hospital, lack chief executives and directors of nursing. “Arbour facilities have positively impacted the lives of thousands of patients and their families and provided valuable services to the Commonwealth treating this population with very difficult and complex mental health needs,’’ she wrote. Karen Gromis, deputy director of the National Alliance on Mental Illness in Massachusetts, said high staff turnover at the Arbour hospitals may be hurting efforts to make long-lasting improvements. “That is why they are falling back into these problems,’’ she said. Gromis said the organization is satisfied with the mental health department’s oversight but plans to monitor the hospitals more closely by calling executives to obtain information after patient deaths or other issues. Last month, NAMI Mass returned a $10,000 donation to Arbour for the nonprofit’s annual fund-raising walk, which she said is the only money Arbour gives to the Massachusetts group. Correction: An earlier version of this story and a photo incorrectly identified the Massachusetts Commissioner of Mental Health. The commissioner is Joan Mikula. Marylou Sudders is the Secretary of Health and Human Services.